The glorious 2018 Winter Games in PyeongChang, South Korea are coming to an end. It was a wild time filled with stunning Adam Rippon quotes, truly amazing moments, and whatever curling is. But now, it's time to count our medals and move on to the next Olympics. First, the Summer Games in 2020, then the next Winter Games in 2022. Sure, the latter is a few years away, but it's never too early to start trying to figure out the rules of these obscure ice sports. Also it takes a heck of a lot of work to host the international sporting spectacle, so it's never too early to start planning for the future Olympics -- preparations for which are already well underway. If this year's Games left you needing even more Olympics excitement in your life, then good news: You'll only have to wait two more years for the 2020 Summer Olympics. Just like the 2016 Rio Games, the 2020 Summer Olympics will take place in late July and early August -- Jul 24, 2020 through August 9, 2020, to be exact. The Opening Ceremony will take place on July 24. The 2020 Summer Olympics will take place in Tokyo, Japan. The Games will mark the first time the Japanese capital has hosted the Summer Olympics since 1964 (the first to ever be held in Asia), and the second time it has hosted the Summer Olympics ever. It will also be the fourth time Japan has hosted the Olympics in total, counting the 1972 Winter Games in Sapporo 1998 Winter Games in Nagano. Tokyo 2020 organizers are already touting the games as among the best ever. According to the official Olympics website, officials promise the Games will be “the most innovative ever organized, and will rest on three fundamental principles to transform the world: striving for your personal best (achieving your personal best); accepting one another (unity in diversity); and passing on a legacy for the future (connecting to tomorrow)." What is Tokyo doing to prepare? 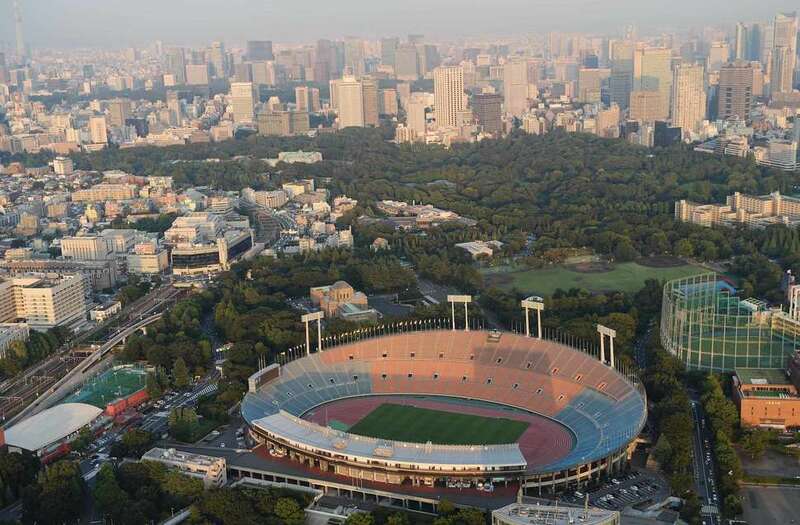 In response to new Olympic reforms, the Tokyo Games will use as many existing competition venues as possible, including some that were built for the Summer Games in 1964. Specifically, the iconic Nippon Budokan, Baji Koen Park, the Yoyogi National Gymnasium, and the Tokyo National Stadium. The latter venue, which will host the Opening Ceremony and the Close Ceremony, is getting a complete overhaul that will transform it into a new stadium. Even after reusing existing venues, the Tokyo Games will still take place at more than 30 venues throughout the city, according to its official website. In a recent interview on CNBC, Tokyo 2020's Masa Takaya said preparations for the Games are "right on track." He went on to say that International Olympic Committee (IOC) officials regularly give organizers positive feedback after inspections during the preparations and that construction at the venues is going according to plan so far. "We have one venue already completed, some existing sites being renovated, and construction on most of the prominent venues well underway," he said. Takaya went on to say that reusing existing venues will save the city approximately $2 billion. 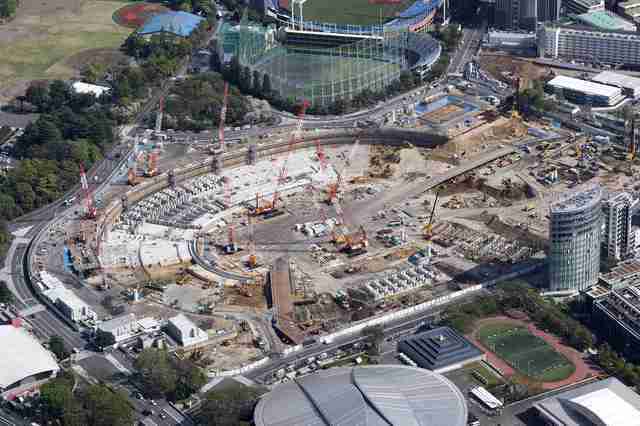 As for the total budget -- the most recent version, at least -- for the Games, Tokyo 2020 plans to spend $12.6 billion. When are the next Winter Olympics? As you probably know, Olympic Games happen every four years, so the next Winter Olympics will be held in February of 2022. They'll be spread over two weeks from February 4 through February 20. This year's lasted from February 9 to February 25, which means the coming Games will be slightly shorter. 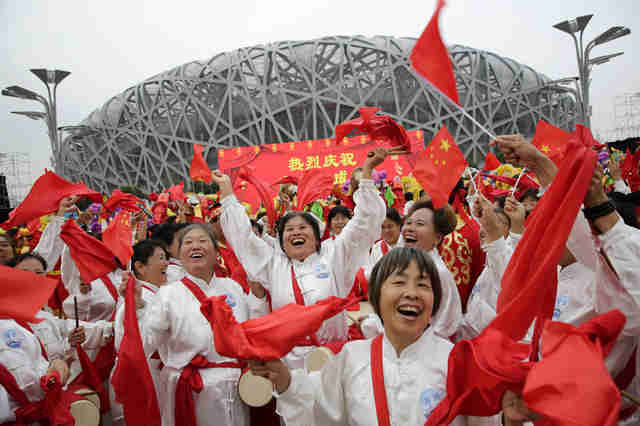 The 2022 Winter Games will take place in Beijing, China. Since Beijing hosted the 2008 Summer Olympics, it will be the first and only city to host both the Summer and Winter Olympics. Beijing, as you probably know, is China's capital city and located in the Hebei province in North China. It's more accurate to say, however, that the games will be taking place in Beijing, Yanquing, and Zhangjiakou. Yanqing (roughly 50 miles from Beijing) and Zhangjiakou (roughly 125 miles from Beijing) are to the northwest and closer to the mountains. The Opening and Closing ceremonies and ice sports will be held in the capital; all skiing events (with the exception of alpine) plus biathlon will be held in Zhangjiakou; and bobsled, skeleton, luge, and alpine skiing will be held in Yanqing. What is Beijing doing to prepare? As you can imagine, hosting the Olympics requires huge infrastructure projects. Since Beijing has already played host, however, some of that is already taken care of, which will lower costs. But China will still be building six new venues -- three were already planned for -- in addition to the six that were built back in 2008 for the Summer Games. Organizers plan to spend $3.9 billion on the Games. According to China Daily, there are already 10 official retail stores open in China with merchandise available like costumes, ceramics, and stationary. The 140 licensed products mostly feature the blue and white Beijing 2022 Olympic emblem, which is called "Winter Dream." The emblem, which was designed by artist Lin Cunzhen, was unveiled in December and features a skater atop a mountain with a skier at the mountain's bottom. The blue represents "dreams, the future and the purity of ice and snow," while red and yellow are the colors of China's flag and represent "passion, youth and vitality," per the Olympics website. Where will Olympics be held after that? As of now, no one is on the books for 2026 Winter Games, but there should be an official announcement by October of 2019. 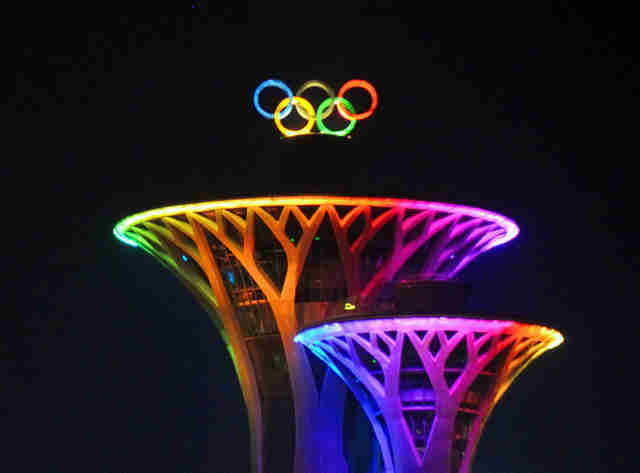 The astronomical cost of the hosting the Olympics can be prohibitive for many countries looking to host, and six European cities retracted offers to host the 2022 Olympics, which left the IOC to pick between Beijing and Almaty, the capital Kazakhstan. We do know, however, that future Summer Olympics will be held in Paris in 2024, and will be back in the USA for a 2028 Los Angeles Olympics.